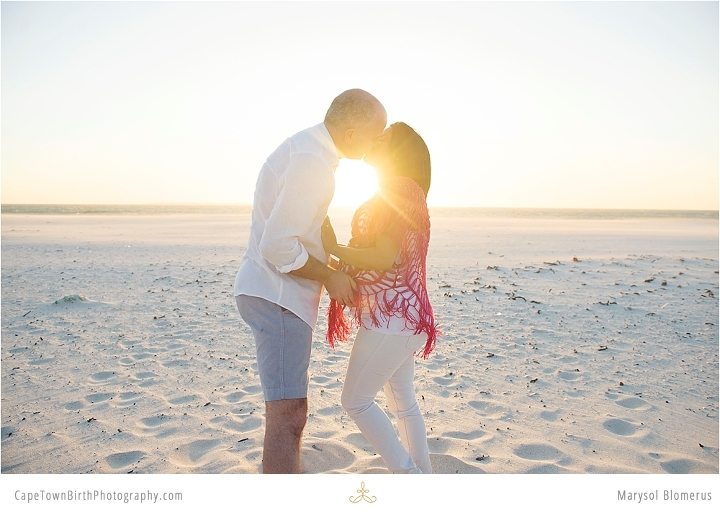 I met Charné and her husband at Blouberg beach for their mini-maternity session. The wind was howling, so we drove up the coast a few minutes and tried this beach. Lo and behold it was worse. It was an almost painful sandstorm, the worst I have ever shot in, which is saying alot. 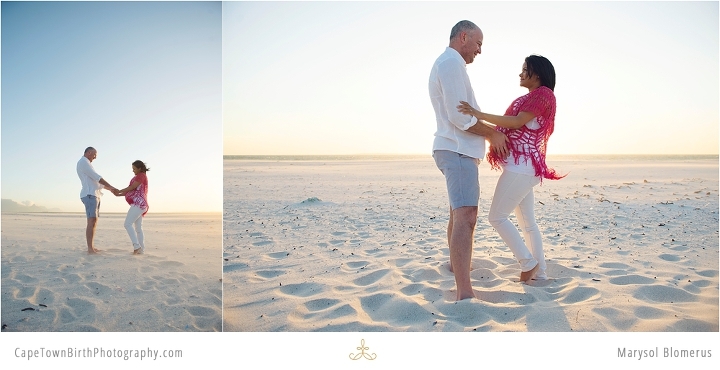 The sand was so thick in the air, this actually looks much more like a desert shoot than a beach one. Charné was a champ despite the freezing and horrible conditions yet was unsure if we were getting anything worthwhile. I, on the otherhand, knew exactly what I was seeing in my camera and was loving the look the wind was creating. They were pretty surprised with the finished images. This session pushed my gear to the max, I actually took it in to be serviced the following week just to be sure the sand hadn’t damaged it. Thankfully, Nikon here are top notch in their thoroughness and I was good to keep shooting. Tough conditions are sometimes worth it for beautiful images. And more than anything, I really enjoy working with a couple that 1) love eachother because that kind of magic can’t be photoshopped in and 2) that trust me as their photographer. 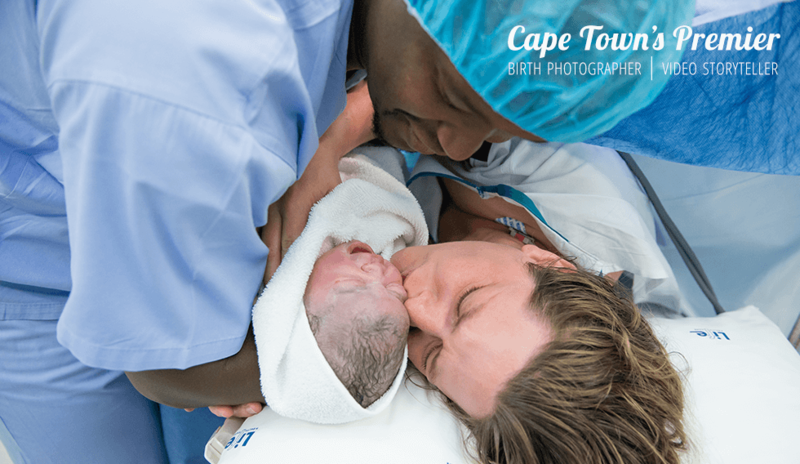 This couple are now new parents and we captured their daughter’s birth story. Mini-maternity sessions are offered complimentary with all my birth packages. Its 30 minutes, one location, and 15 gorgeous high quality images for you to treasure long after you are done being pregnant. Here’s the beautiful Charné who made it look easy… Be sure not to miss the last shot, she looks mindblowingly beautiful. Hi we from cape town. I love all your pix. We six months pregnant with our first baby and really excited.will u please send us a quote for maternity pix. Highly appreciated.